With a pair of Cento drop earrings from Roberto Coin, the outlook on your day will definitely improve! 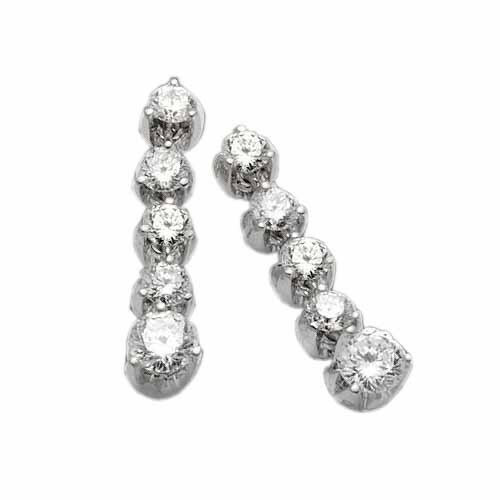 Each earring features a linear drop of fabulous 100-facet Cento diamonds, set in 18kt white gold, descending to a larger stone. The pure brilliance of these Roberto Coin drop earrings make any outing special!